Inventors often combine unrelated ideas and materials to create something new. Like Anna’s recent story of cassette tape woven into wearable fiber or Steve’s car prototypes made out of pasta, invention ‘mashups’ are awesome. 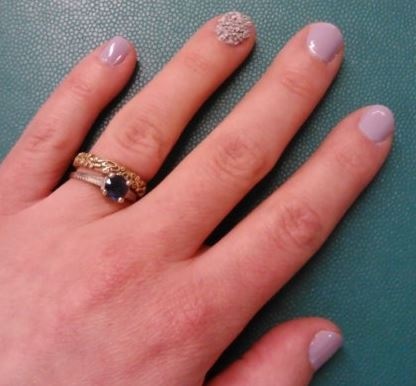 Case in point: the current Spring 2013 nail art phenomenon of the ‘caviar manicure’. 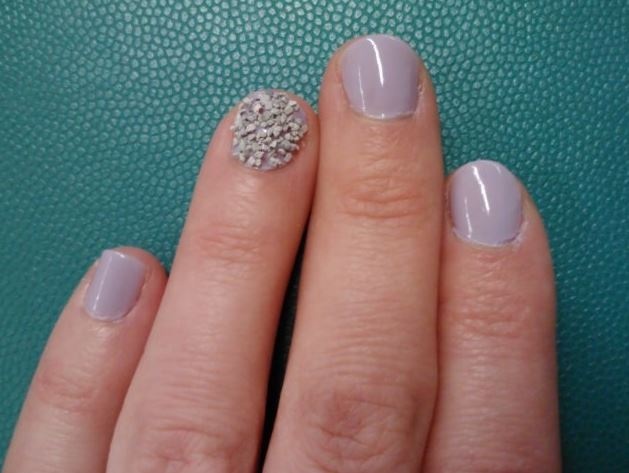 Unlike a normal manicure, which consists of one or several colors of nail polish, a caviar manicure uses a base coat of nail polish combined with a top sprinkling of tiny pearlescent beads. The result is a three-dimensional effect that adds attention-grabbing, high fashion texture to everyday looks. While the caviar manicure wasn’t invented this season, it’s become a big deal through major celebrities like Anne Hathaway and Jessica Biel. Considering that I’m not always the world’s most inspiring fashion plate, I thought I’d take a risk and try it myself. However, the brand name kit to create this nail art is pretty expensive, so I started searching for a more affordable DIY alternative. 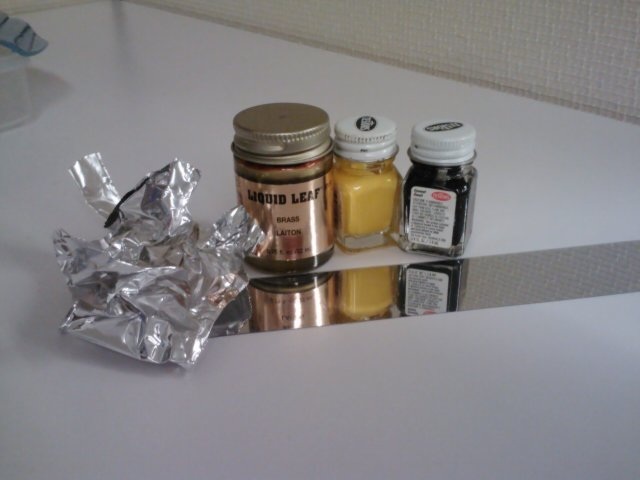 Some of the materials I found around our office included model toy paint, aluminum foil, cake sprinkles, and clay. I also had a brand new bottle of pretty lilac nail polish I’d purchased, so I thought about what colors would look good, what combinations would be fresh and interesting, and what I could live with for a few days. 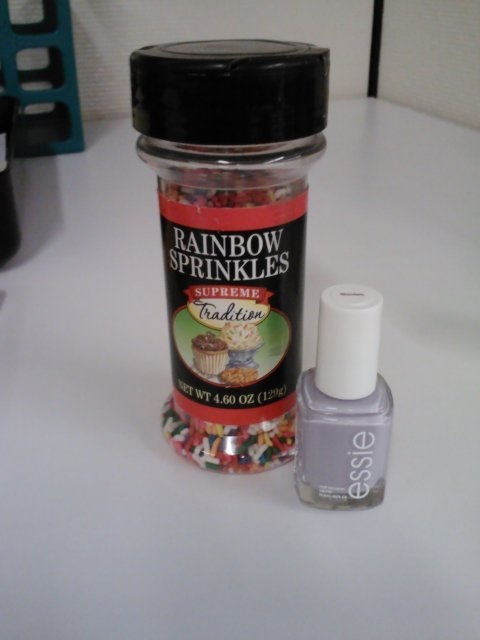 The result: I used a base coat of Essie “lilacism” polish with a top sprinkling of clay on just one finger. To be honest, I don’t think it’ll become the next fashion trend, but I’m proud of my foray into haute nail couture. And although I think I’ll be sticking to plain polish in the future, I’m glad I invented my own unique combination. Have you tried the caviar nail trend, or come up with your own inventive nail art? Share with us and your friends! Tweet it at @SI_Invention using #BrightNails.